This range is a wise choice for the novice as well as the experienced percussionist who is looking for an affordable instrument without compromising tonality. 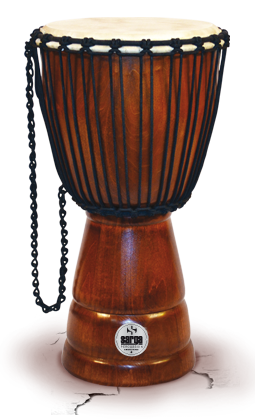 Sarga Percussion Malako djembes are hand crafted with the greatest care to offer powerful tone and clarity. These high quality instruments are fitted with a white skin. 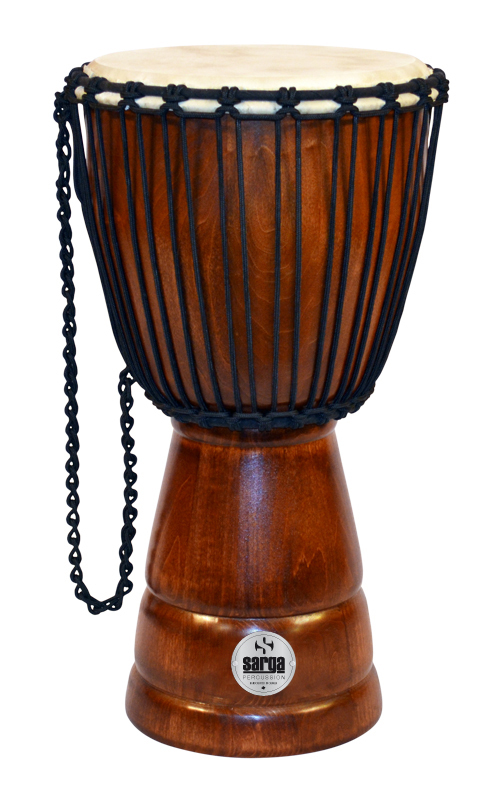 We use a 3/16" double braided polyester rope to guarantee the necessary tension and keep the djembe well tuned. They are made of poplar and offered in two sizes. A white skin is one that is treated in a way that loosens the hair by the roots. By this process we obtain a thinner skin, which produces a clearer tone. There are no warranty on skins.